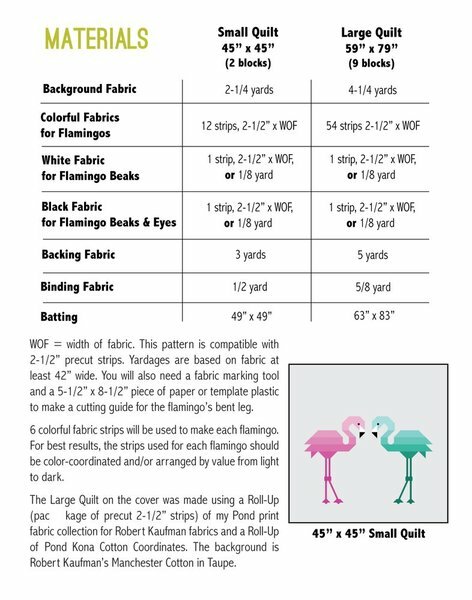 Florence Flamingo includes two quilt sizes, both featuring large-scale flamingo blocks with adorable knobby knees. The blocks are pieced using conventional patchwork techniques. No paper piecing! The blocks are made with 2 1/2" fabric strips, making it perfect for using precut rolls or scraps. 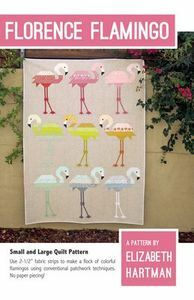 The pattern also includes a complete list of the cut pieces needed to make a single block, making it easy to make single blocks for other projects.